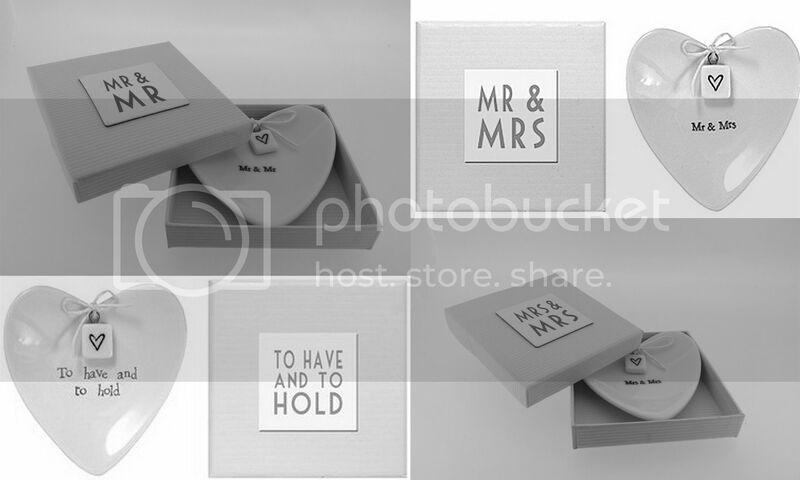 This beautiful white porcelain heart ring dish is decorated with the words 'Mrs & Mrs' and comes complete with it's own presentation box. A great keepsake gift idea. This beautiful white porcelain heart ring dish is decorated with the words 'Mr & Mr' and comes complete with it's own presentation box. Heart measures 8.75 x 8.75cm and the box measures 9 x 9cm. A selection of ring dishes from the East Of India range. Perfect wedding gift.